Back when I reflected on last year, I shared that I had a daughter on the way. Taking that and my recent inactivity into account, you may have been able to piece together that yes, indeed, I am now a father. Adalae Claire Eichacker was born on April 21st (I know, its been awhile). Of course she has completely changed my life and I’m now in the shell shock phase of figuring out what the “new normal” is. To make things harder, my grandma passed away just a couple of weeks later. After taking three weeks off for paternity and bereavement leave, I came back to work just as a big release was being finished up and a new project was beginning. Now, the World Cup is going and I’ve started a side project (more on that later). So suffice it to say, I’ve been a bit busy and this blog is getting LONELY. Do not fear, however! This has happened before, and will likely happen again. I have plenty of posts in my drafts to finish or write, and I’m sure I’ll have plenty more as I figure out how to balance being a father, husband, gamer, and programmer. Oh, and blogger. Also, superhero. Ok, ok. Scratch that last one. Why, hello there. I didn’t hear you come in. Probably because this is the internet. Welcome to my blog! Name’s Andrew Eichacker. I’m 22 years old as of this writing (born in December 1985) and originally from Wichita, KS. In the summer of 2008, I graduated from Wichita State University with a BS in Computer Science, got married, then moved to Silicon Valley to start as a Software Design Engineer at HP in Cupertino, CA. 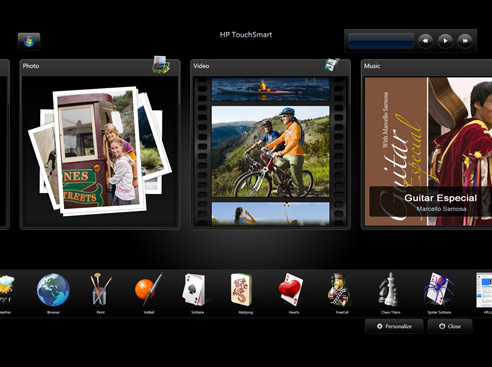 I’m currently working on the TouchSmart PC‘s touch applications. I hope that you’re able to gain something from this blog. If not, no worries. There’s plenty of space on the internet for another worthless blog.